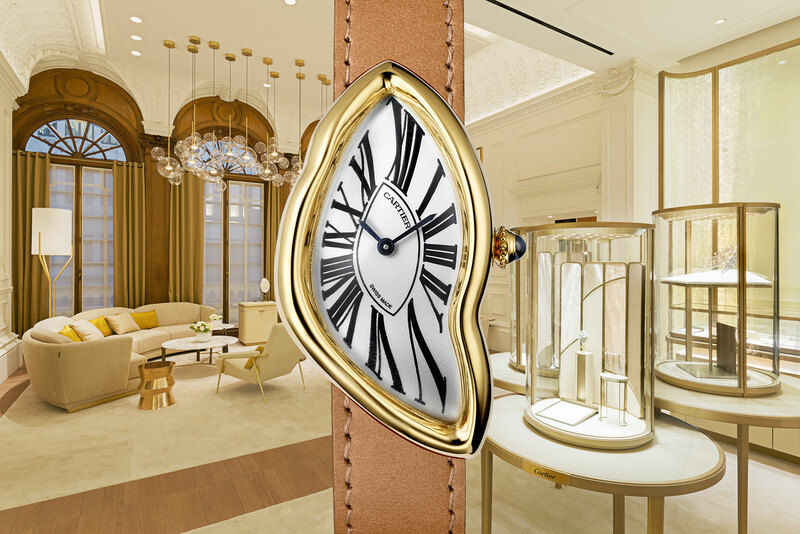 Cartier recently reopened its historic boutique on posh New Bond Street, in the heart of London’s Mayfair. 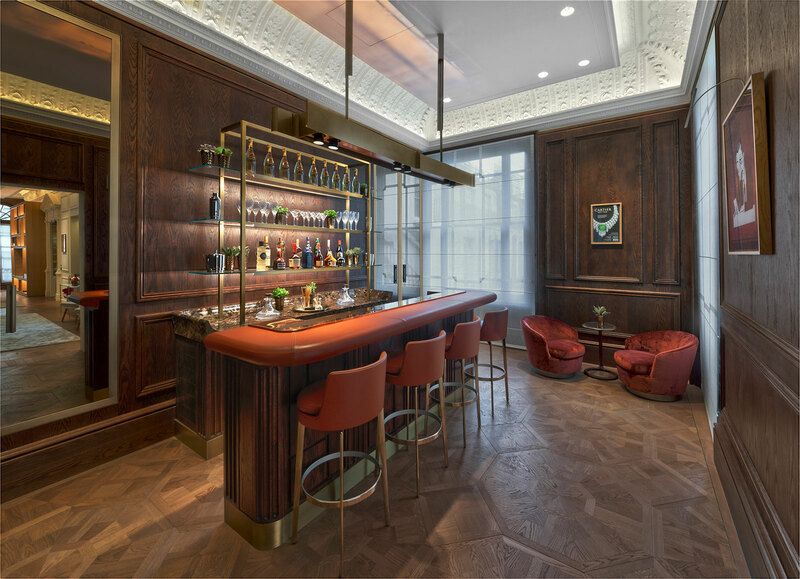 Set up in 1902, the London location is one of the jeweller’s original stores, established in the day when Cartier was still run by the three Cartier brothers, who each oversaw one location. 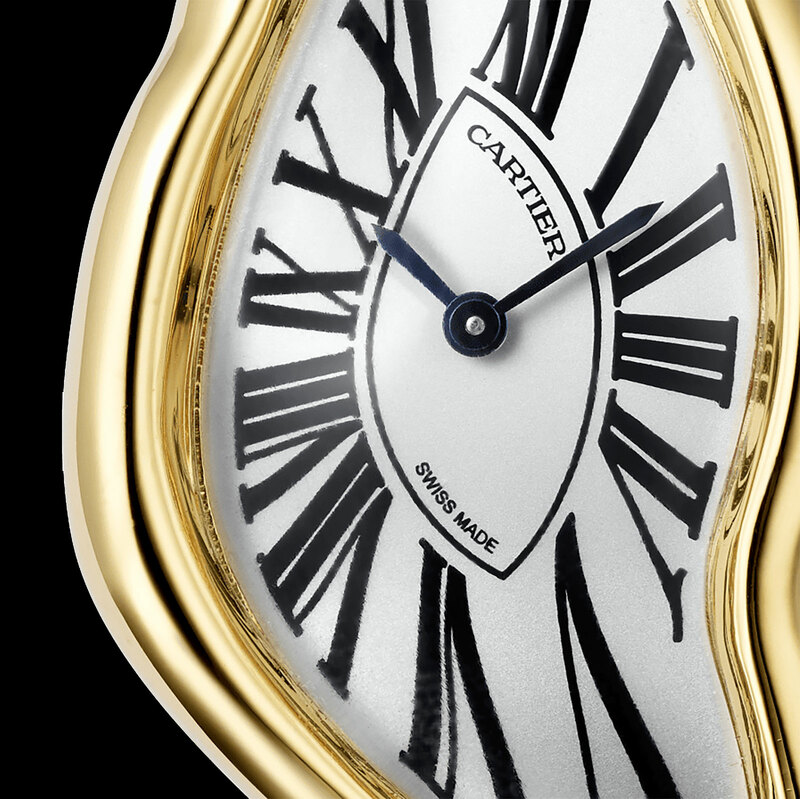 To mark the occasion Cartier has appropriately remade the most famous watch to ever emerge from Cartier London, the asymmetric Crash. Created in 1967, reputedly inspired by a watch damaged in a car crash (but more likely the result of the incredible creativity and craft of Cartier London), the Crash has only ever been produced in limited numbers. Limited to just one watch a month, the Bond Street Crash is modelled on the original, identical in size and material, which is yellow gold. 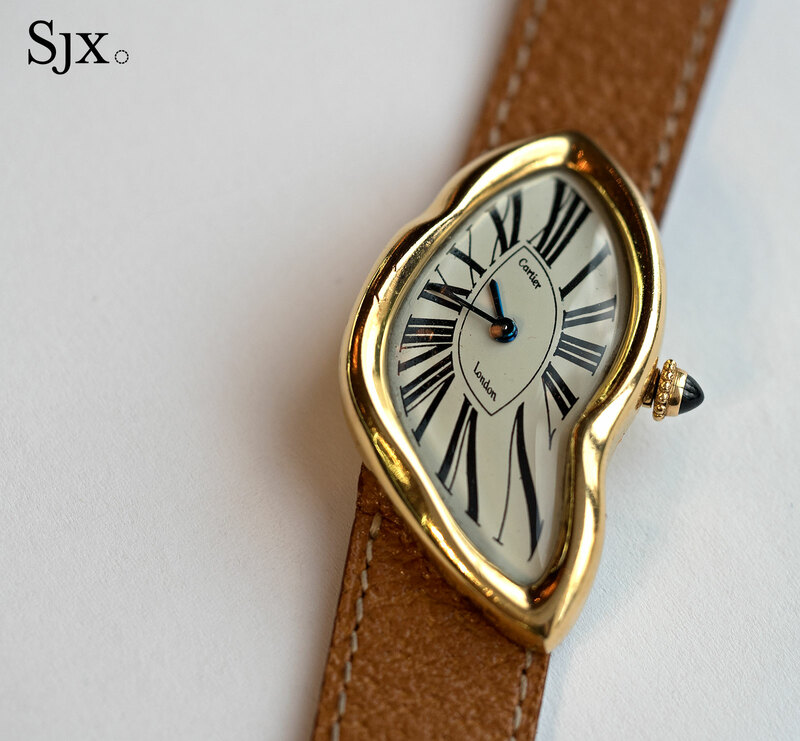 Notably, the dial lacks the Cartier “secret signature” in the “VII” numeral on the dial, which is now standard on Cartier watches but absent on the original. The only obvious difference between the remake and its inspiration is the “Swiss made” label on the dial, instead of “London” as on the original. It’s powered by the 8971 MC movement, a compact, oval-shaped movement that’s actually the Jaeger-LeCoultre cal. 846. And like all Crash watches it’s fitted to a folding clasp with an equally misshapen buckle. Even more limited is the jewelled version of the London Crash. Only 15 pieces will be made. This has an 18k white gold cash that’s been set with diamonds. Inside is the same 8971 MC movement. The Crash reissue is yellow gold (ref. WGCH0006) is limited to one piece a month, and priced at €27,000. And the diamond-set Crash (ref. WJCH0007) is a limited edition of just 15 watches, priced at €65,000. 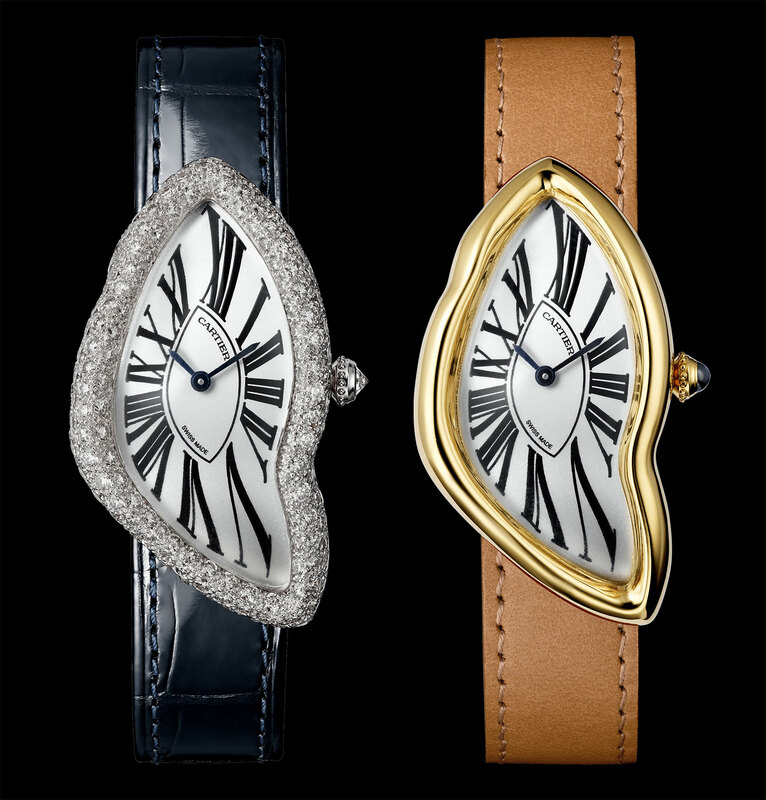 Both watches are available only at the Cartier boutique in Mayfair.